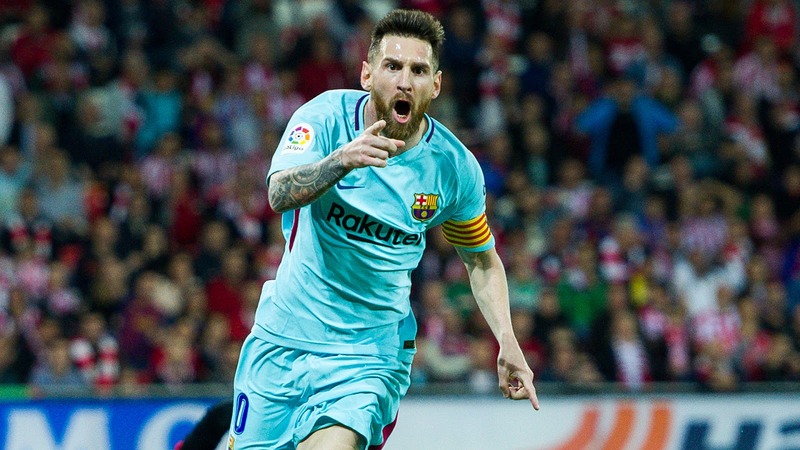 The Argentine superstar is set to reach a milestone for the club on Saturday against Sevilla, and has been lauded by his latest manager. "That's extraordinary," Valverde told a news conference on Friday. "To do that for the same club and scoring the goals he does, getting the assists he gets and showing the brilliance he has is crazy - we've run out of adjectives for him. "It shows how important he is to this club. I don't know if there will ever be anyone like him. "It's not just the number [that is so impressive] – it's what those games have been like. He said: "When you prepare for a game you don't look just at the club now, you look at the past, what they've done in this stadium before, and you look at the how the manager has done with his former team. "He [Berizzo] has a good record versus Barca. He got good results with Celta [Vigo] and he tends to go into the game looking to win. "He likes his team to take the initiative. It's a dangerous game. They want to try to turn around their situation, maybe play aggressive and stop us from getting ball out of defence. "It will be hard for us to have the possession as we like and he's doing the right thing." While Messi gets most of the plaudits for his goals, Barca perhaps have not received the recognition they deserve for their defensive solidity this season - they have conceded just three times in 10 league games. You can call him Pessi, Dwarf or whatever disgusting name but he is above the rest....I can't find any adjective to describe this guy.